The Mean Green fund purchased enough credits through the Denton Municipal Electric’s Green Sense Renewable Energy Program to allow UNT to have 100 percent renewable energy for a year through both wind and solar power. 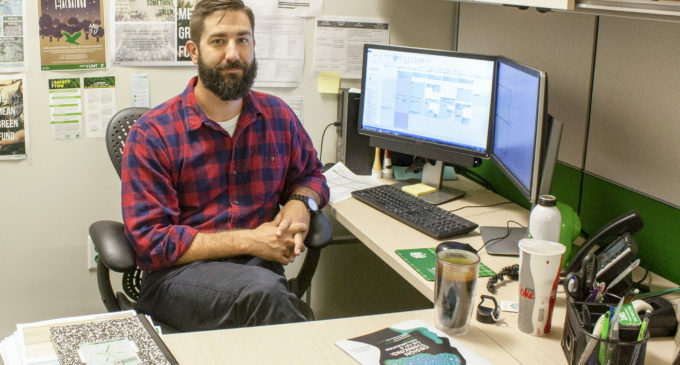 The fund is able to buy these credits through a tuition service fee of $5, which allows any student or faculty to submit proposals to help make UNT more environmentally friendly. Adam Briggle and UNT students lead the 100 percent renewable energy program to its one-year renewable energy goal. Cocke is the advisor of the We Mean Green Fund that picked up the project. About 8,000 residences are enrolled in the Green Sense program today, but Cocke said the enrollment used to be only about 165 to 170 residence homes. Kinesiology junior Tyler Gallegos said it’s important that we look into not leaving a carbon footprint; someone has to start the initiative so others may follow. Computer science graduate student Samuel Cumings wants to focus on fossil fuel dependency and global warming. Renewable energy, Cumings said, is important to reduce the carbon dioxide in the atmosphere and prevent the serious issues climate change could bring. Castaneda said that the Mean Green fund that does projects like the 100 percent renewable energy project is worth investing $5 fee in. The project is allowing UNT to have 100 percent renewable energy right now, Cocke said. It is something he would suggest to other colleagues. Cocke wants students to know that the Mean Green fund that helped this project is here for everyone at UNT. 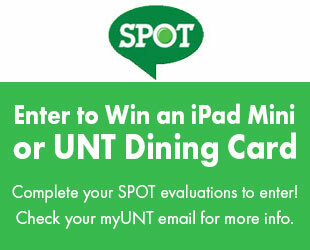 The next thing Cocke would like to address is food waste at UNT. Cocke said he feels students get an opportunity to have an impact at UNT when they work through the We Mean Green Fund. He said it helps them understand how they can have an impact on the environment. Cocke said the Green Sense program is making it possible for the project to continue and perhaps get more enrollments.